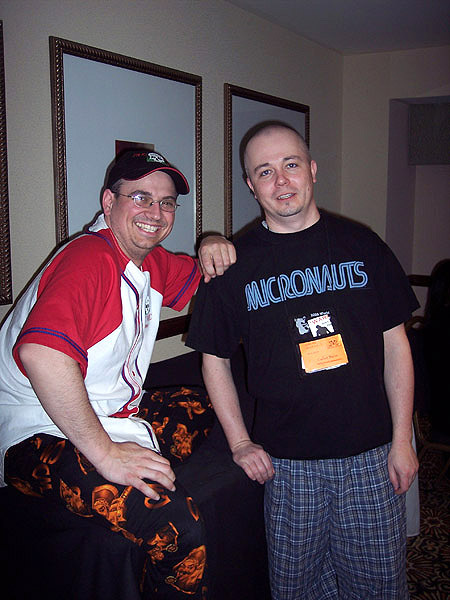 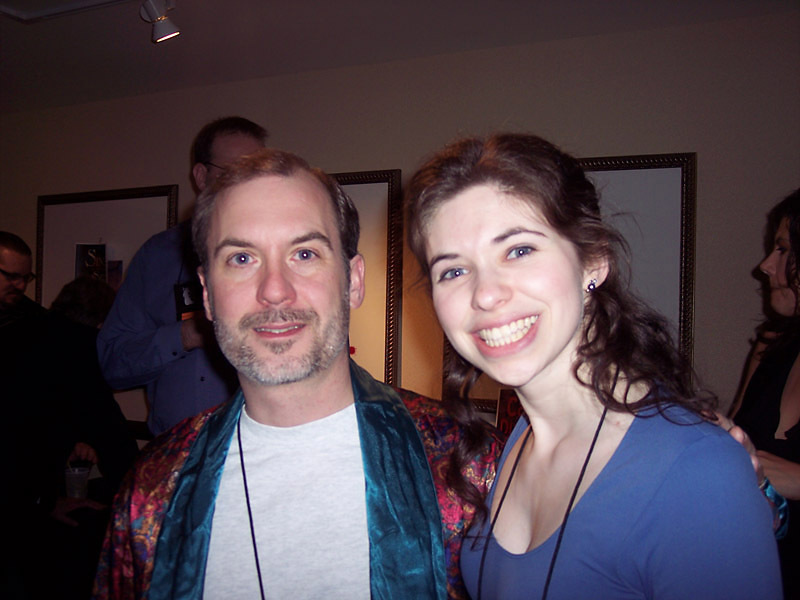 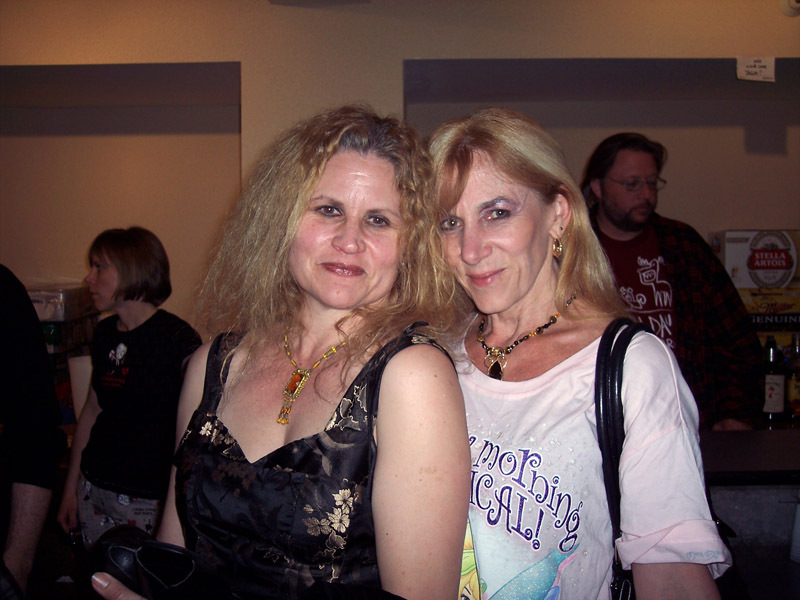 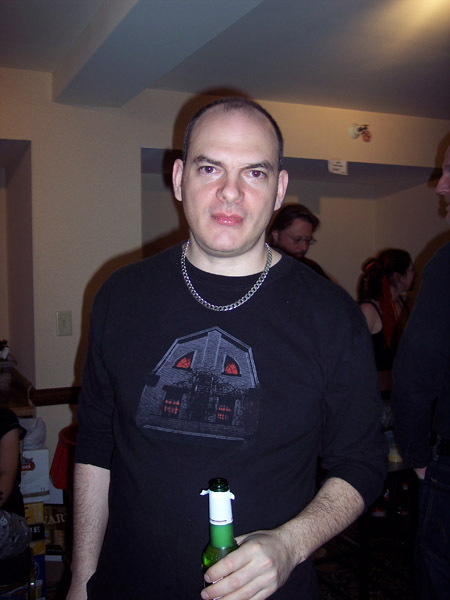 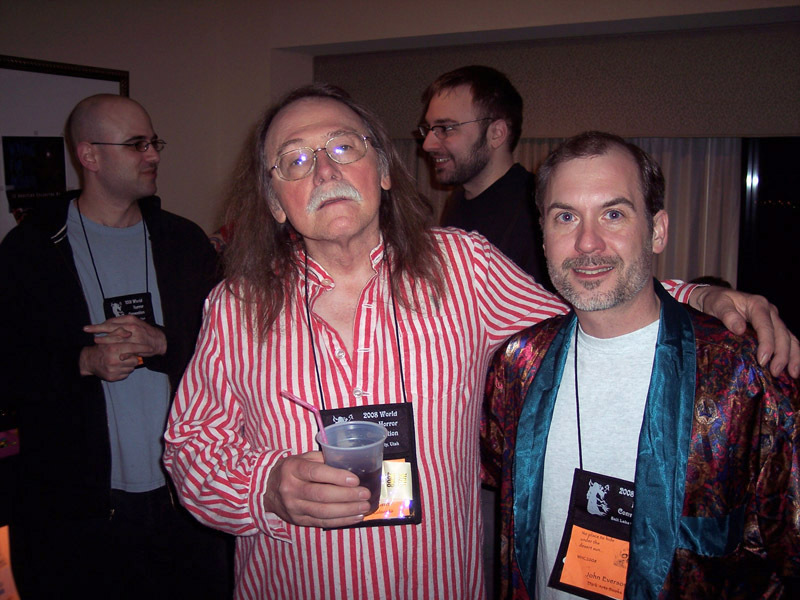 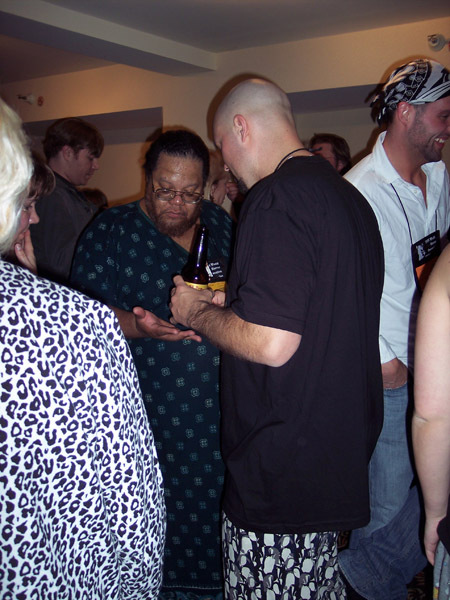 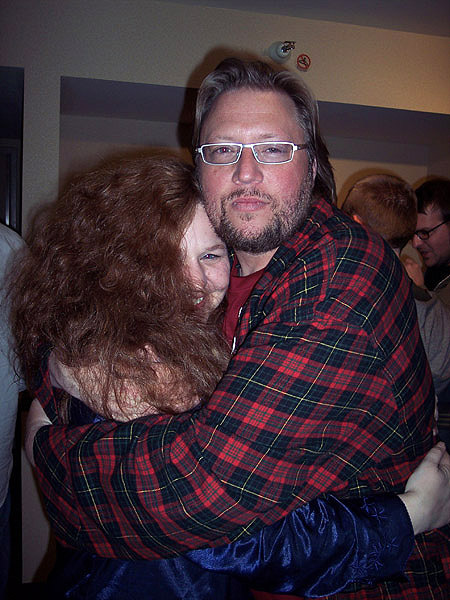 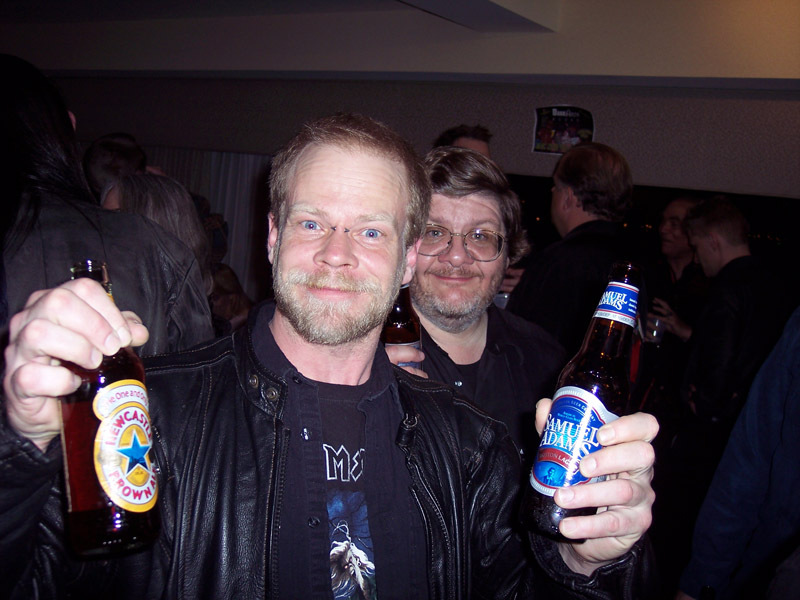 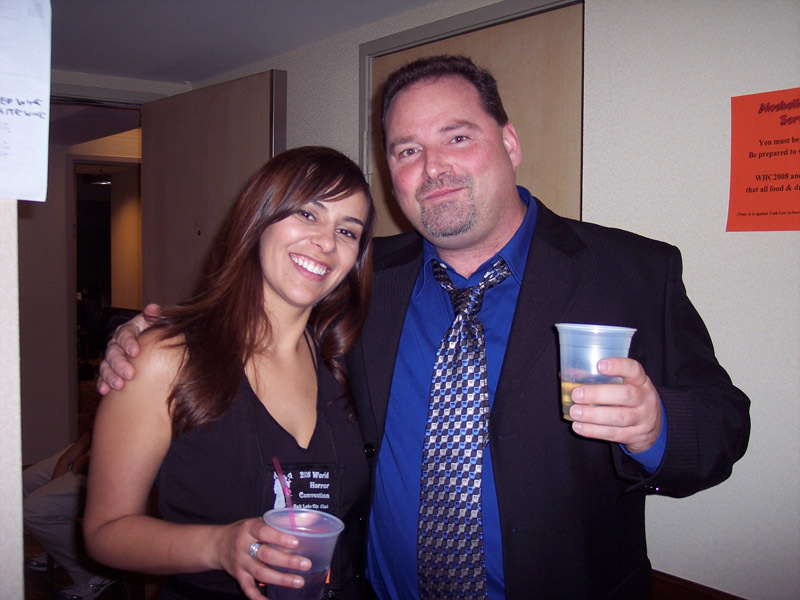 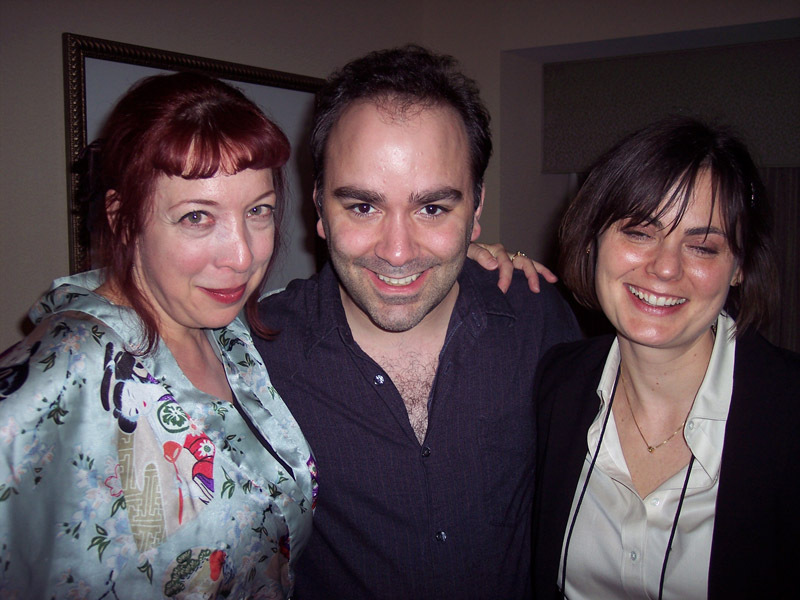 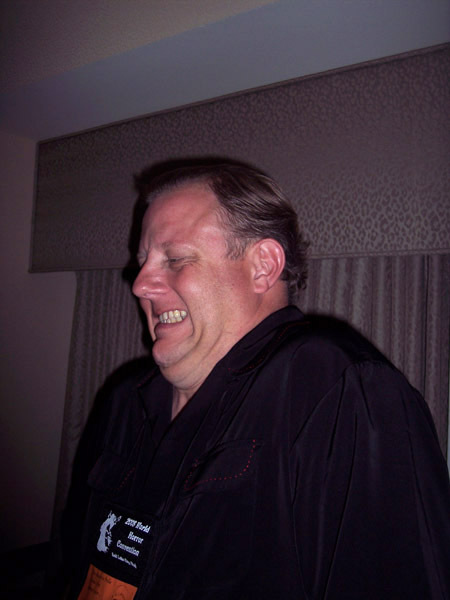 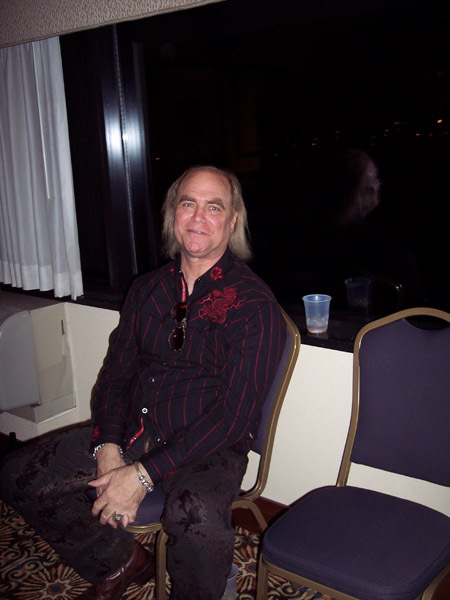 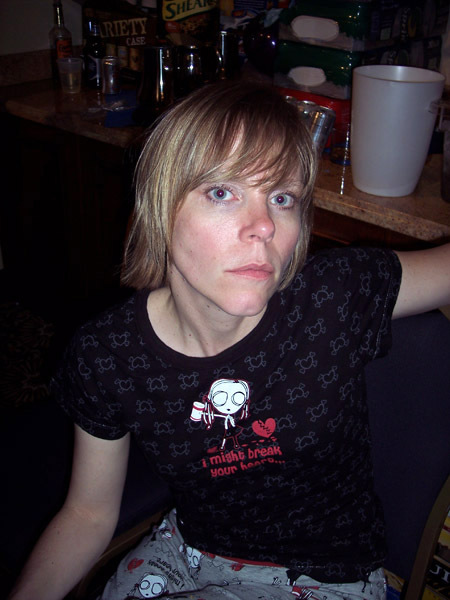 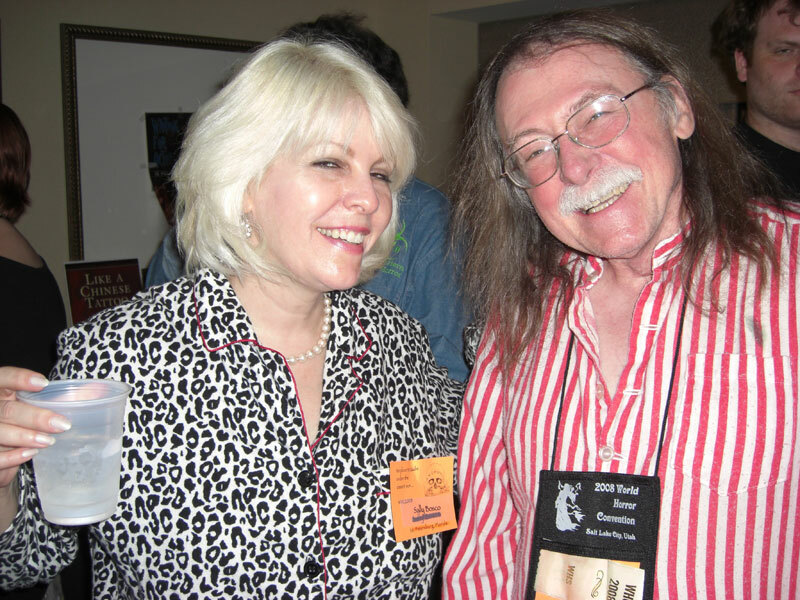 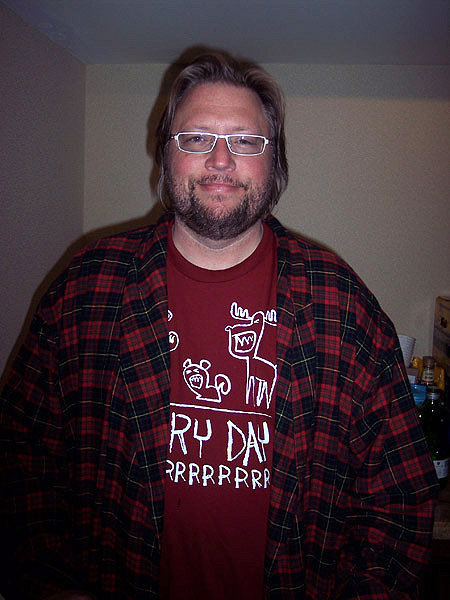 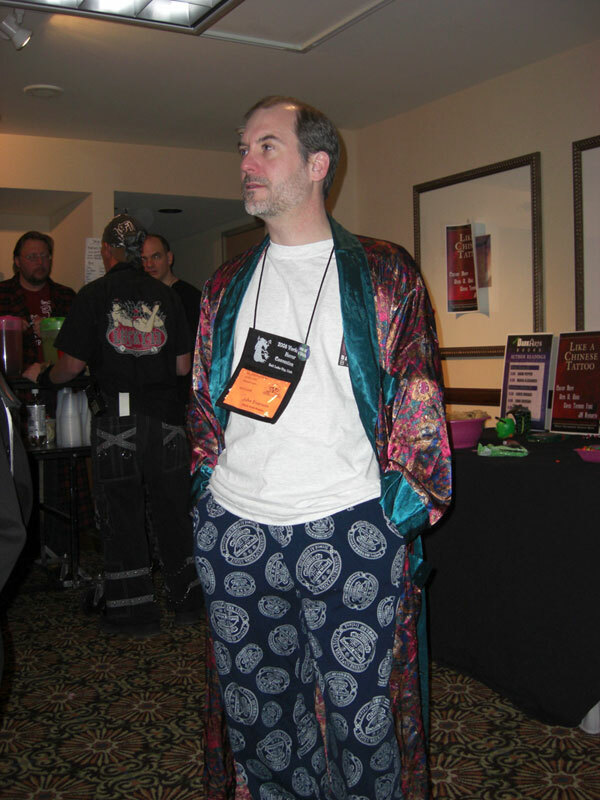 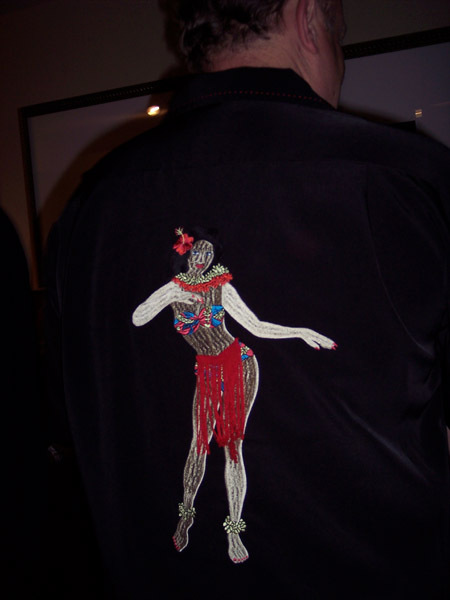 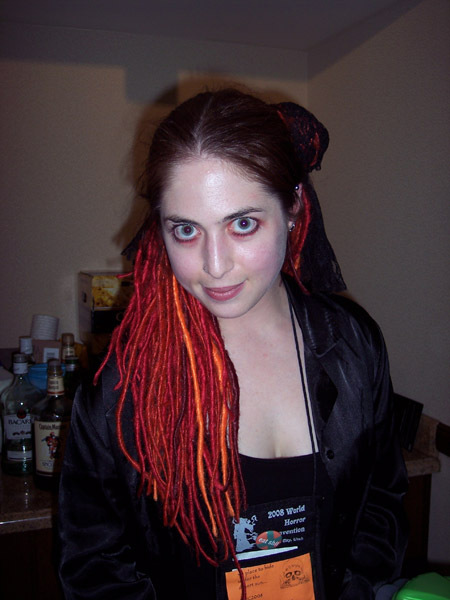 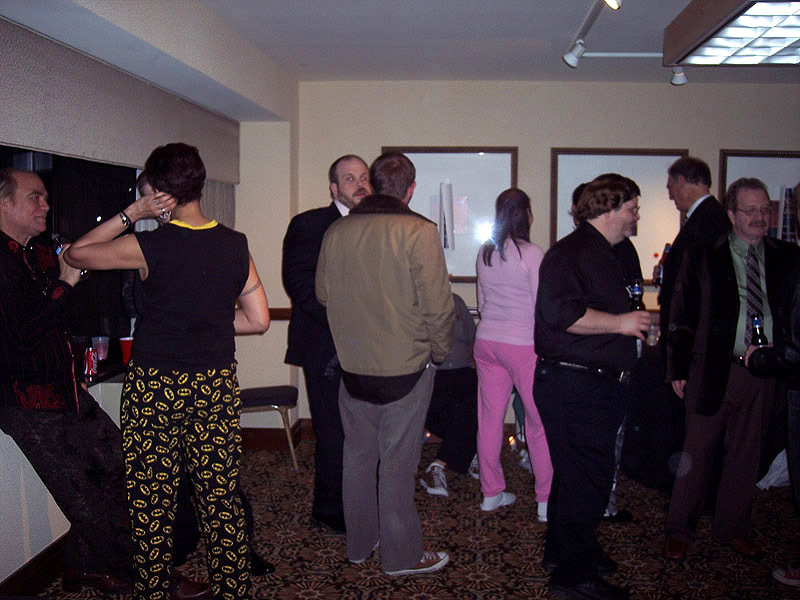 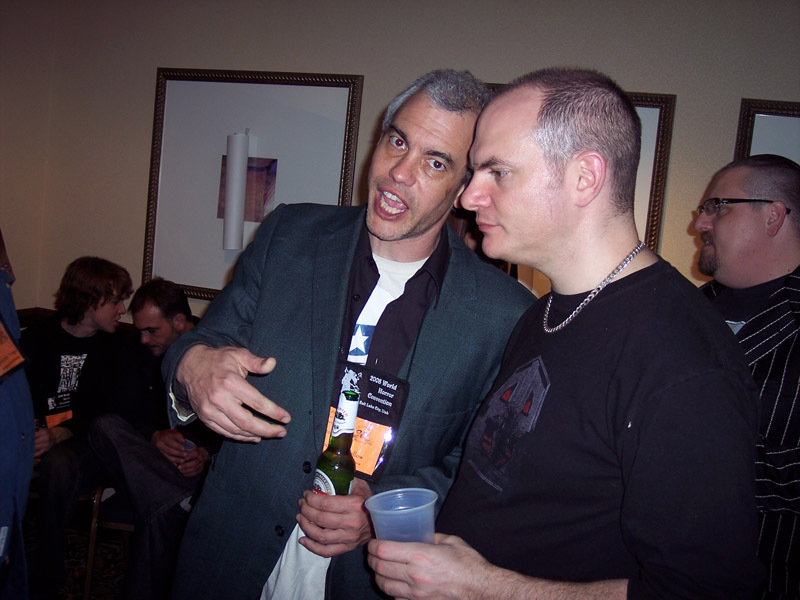 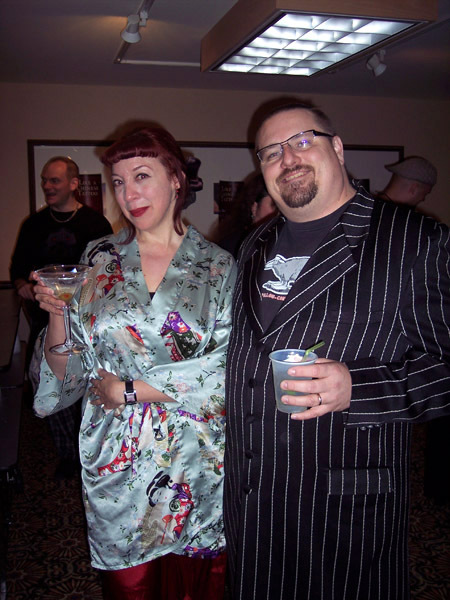 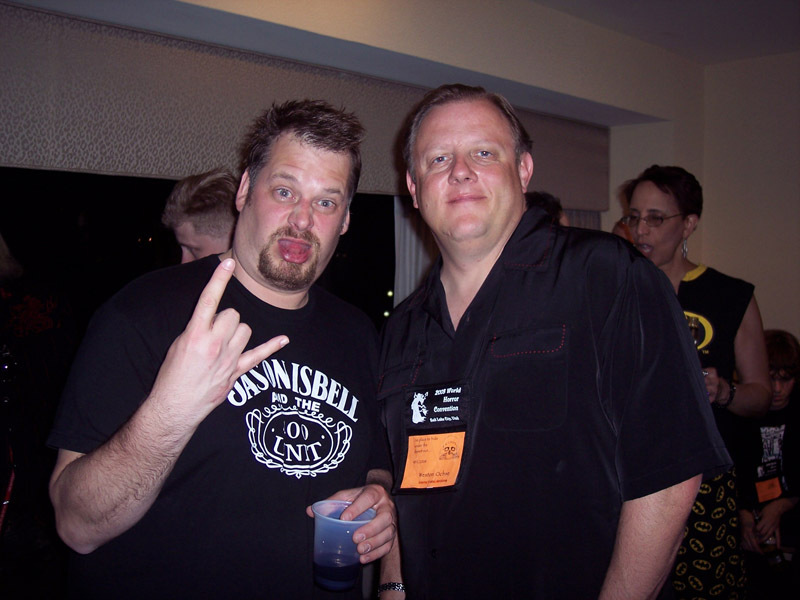 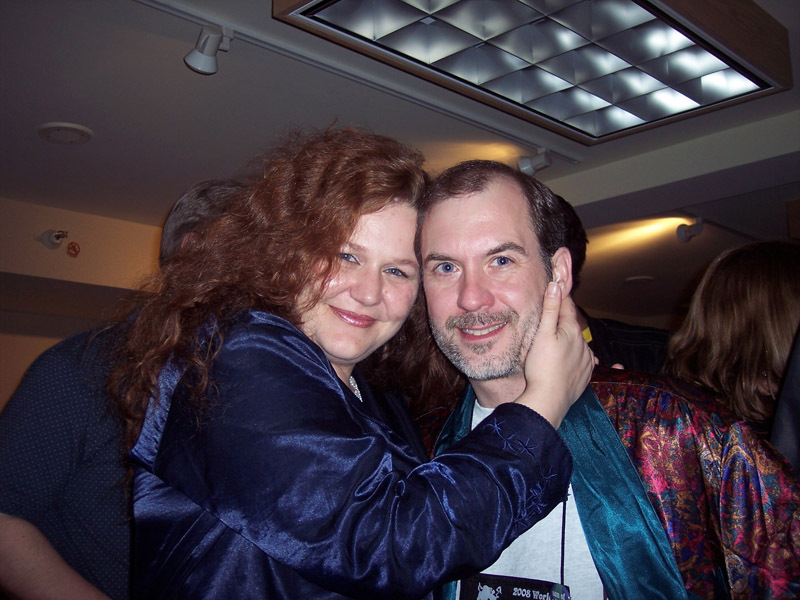 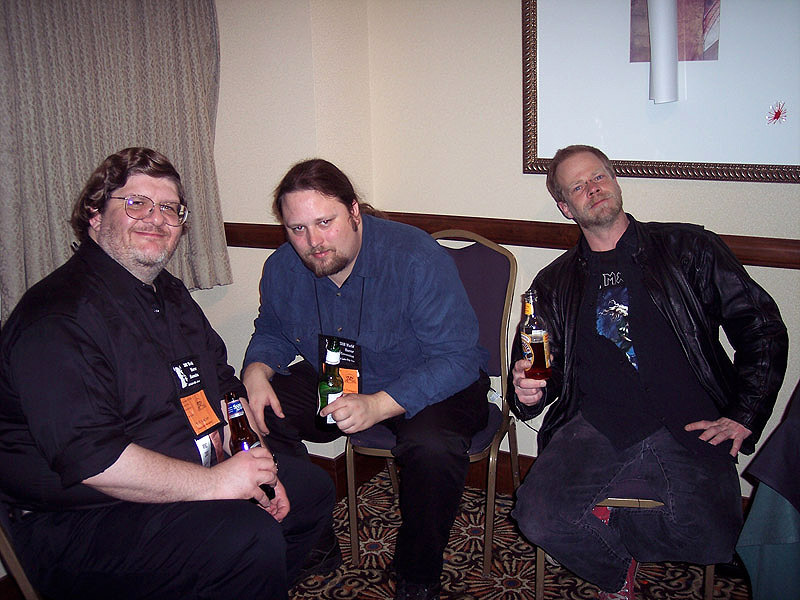 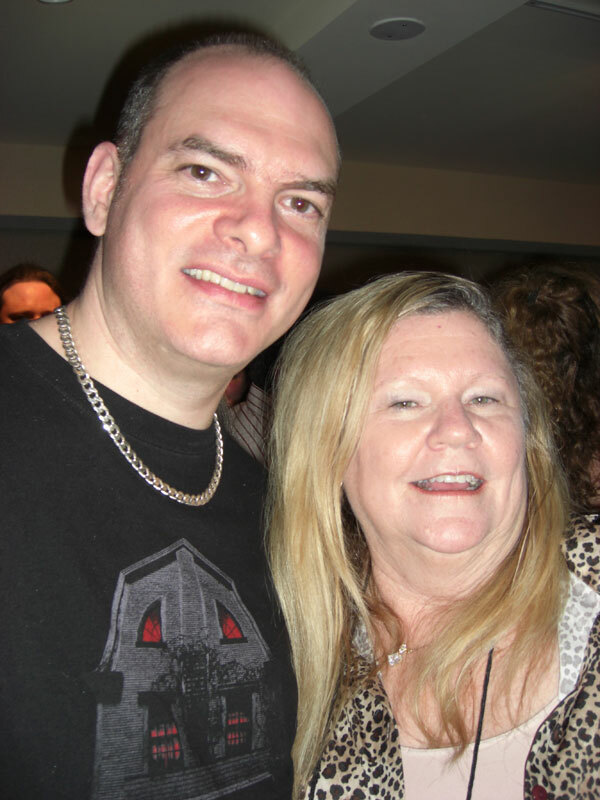 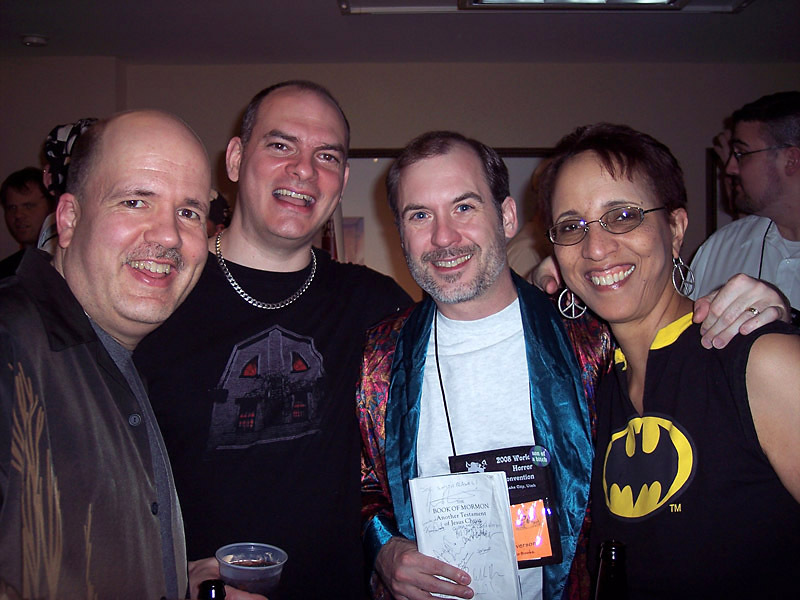 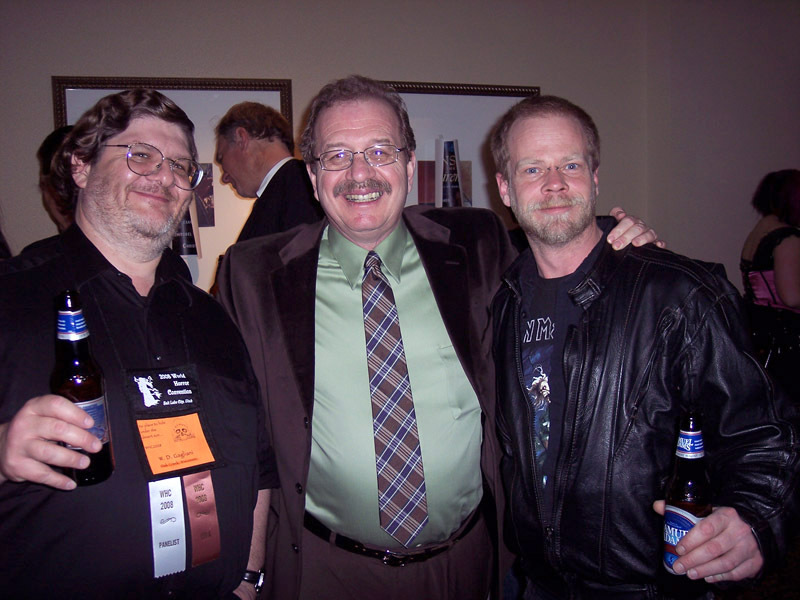 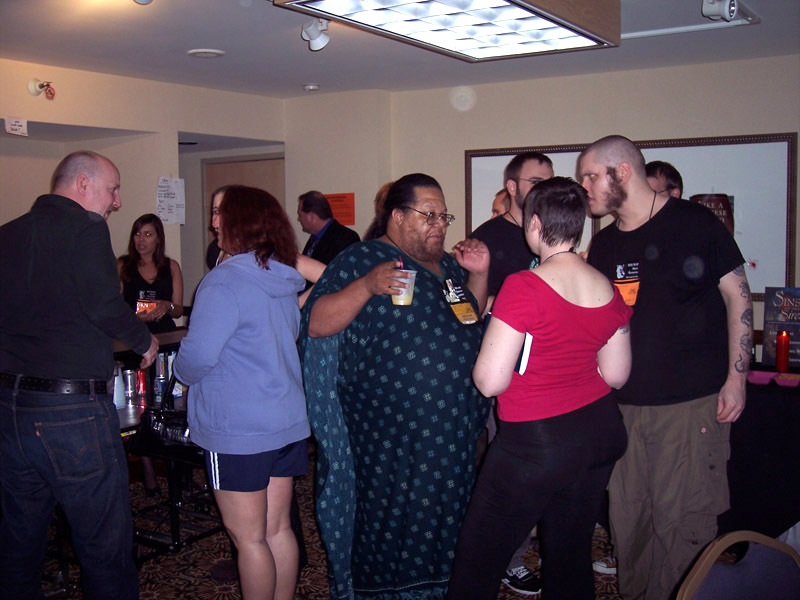 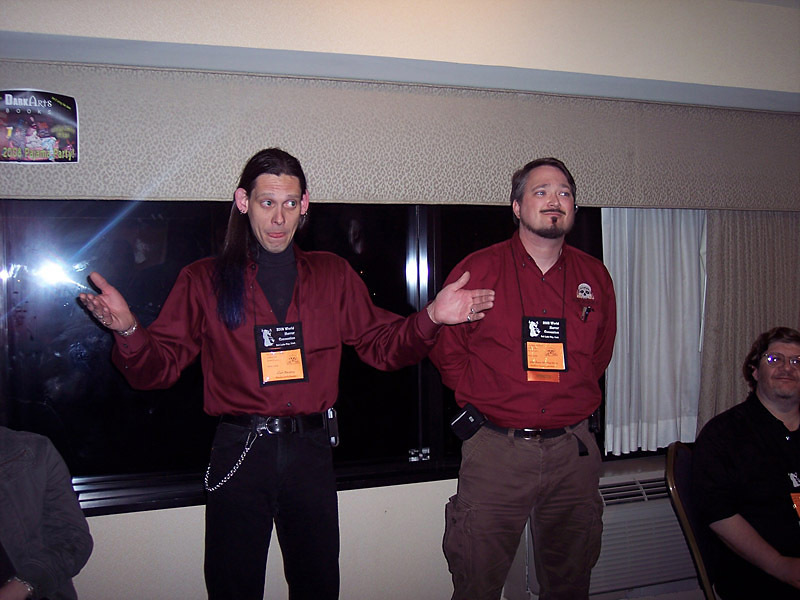 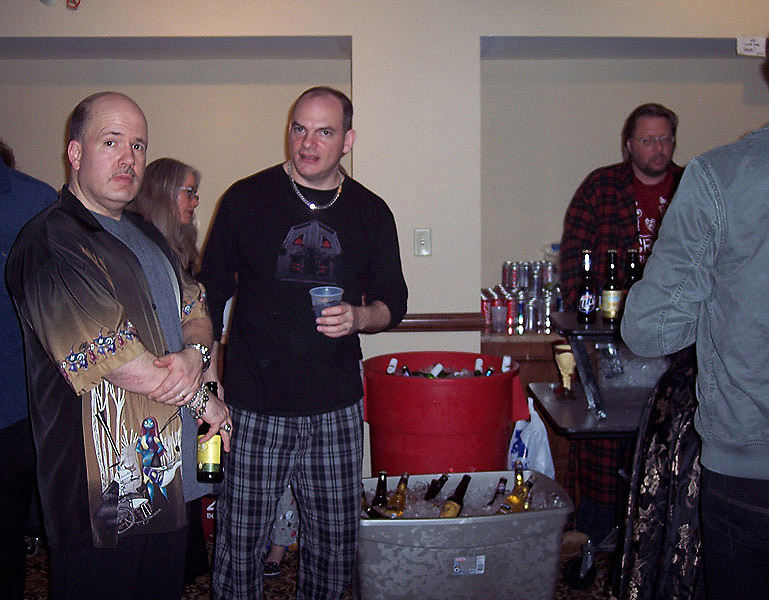 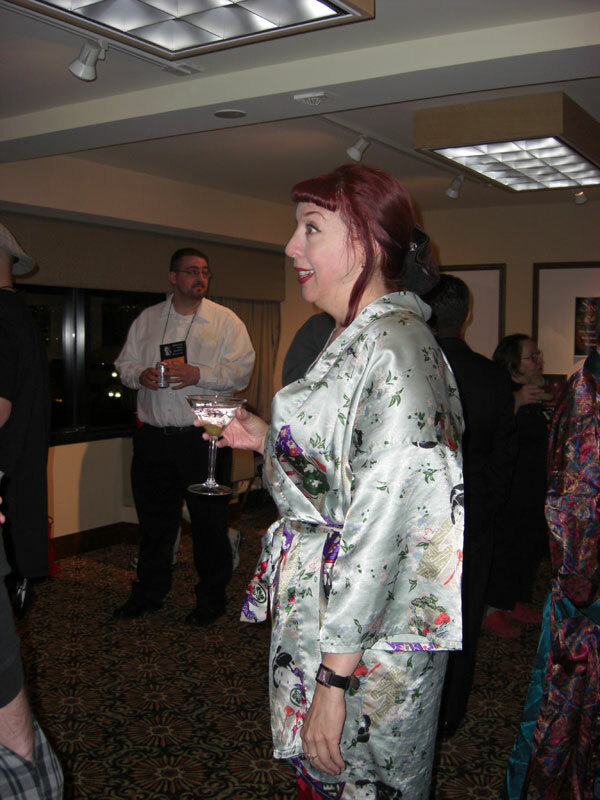 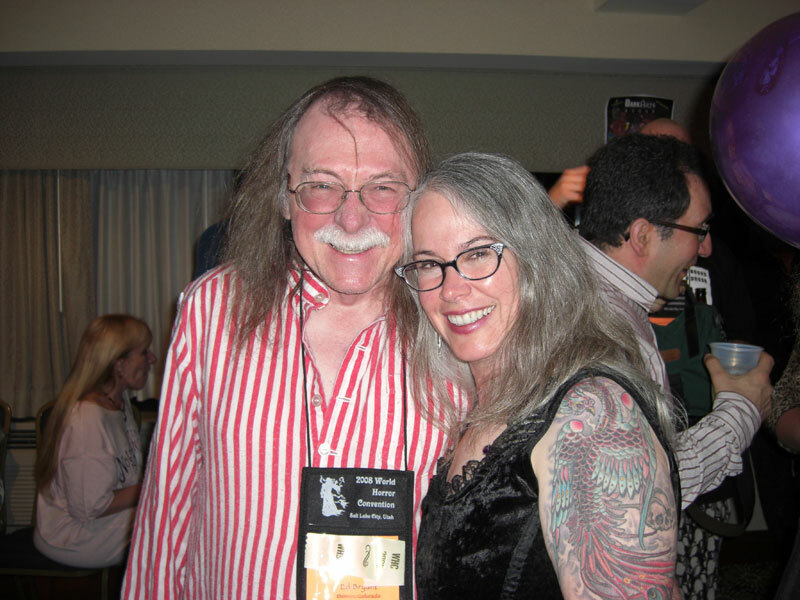 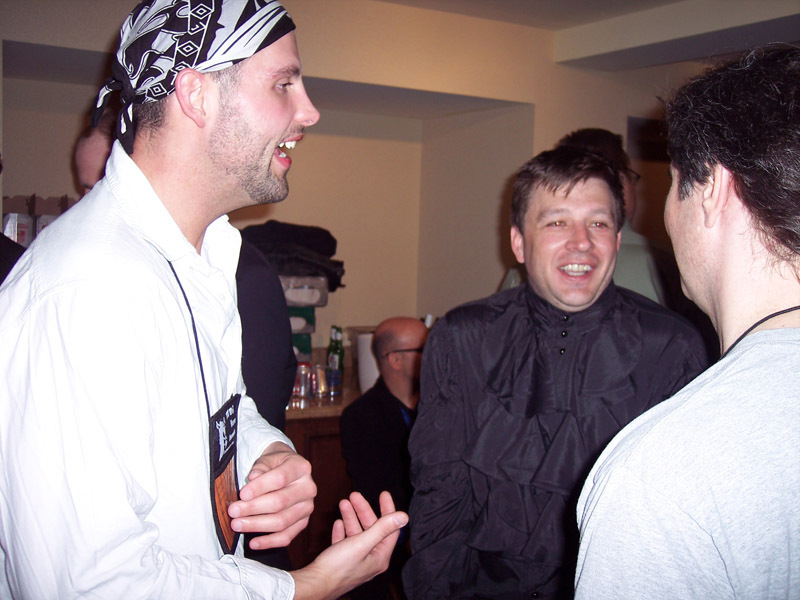 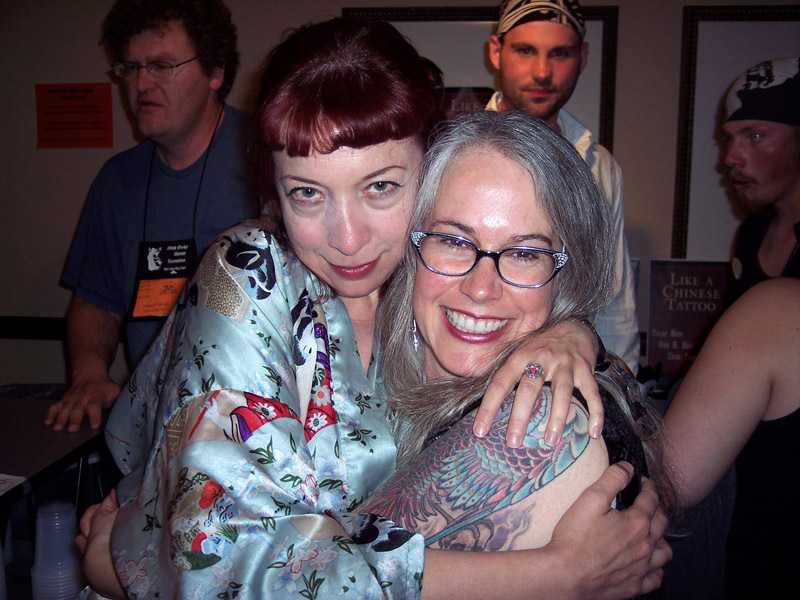 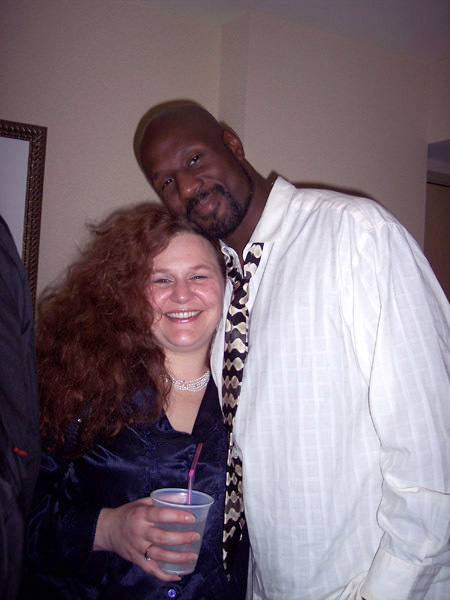 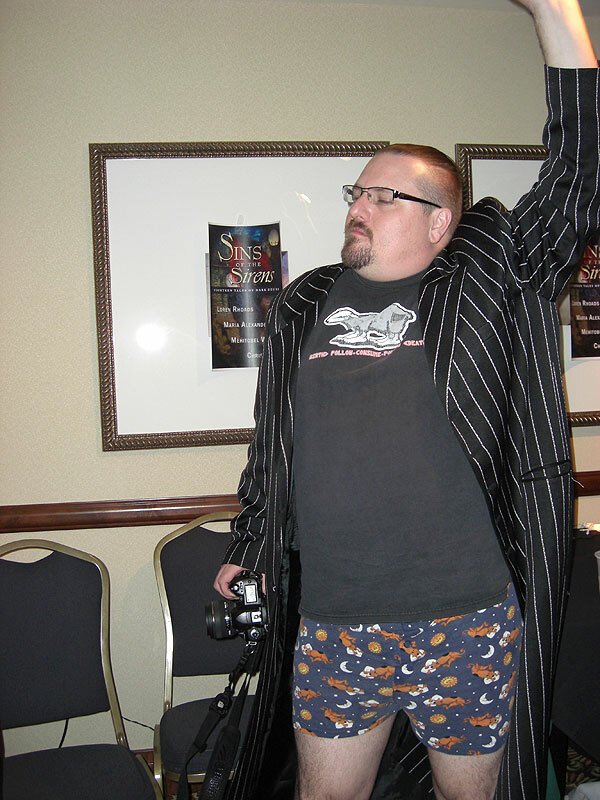 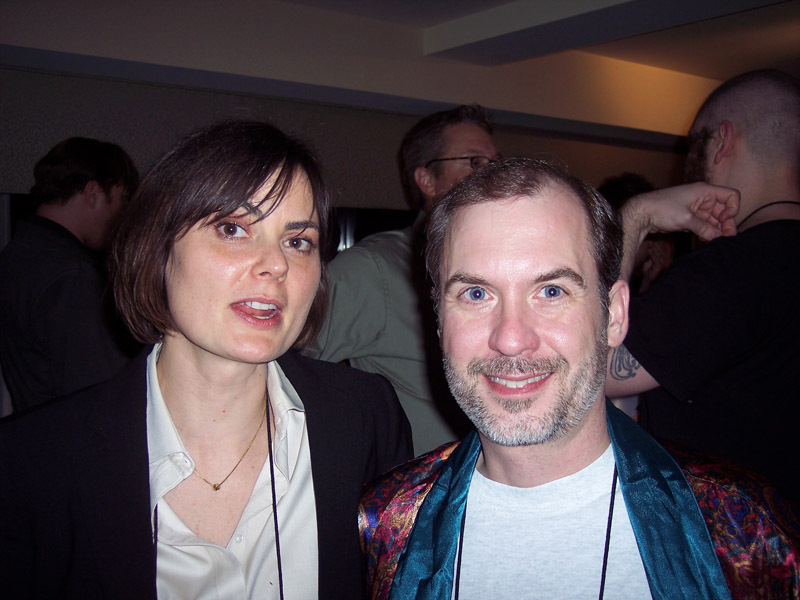 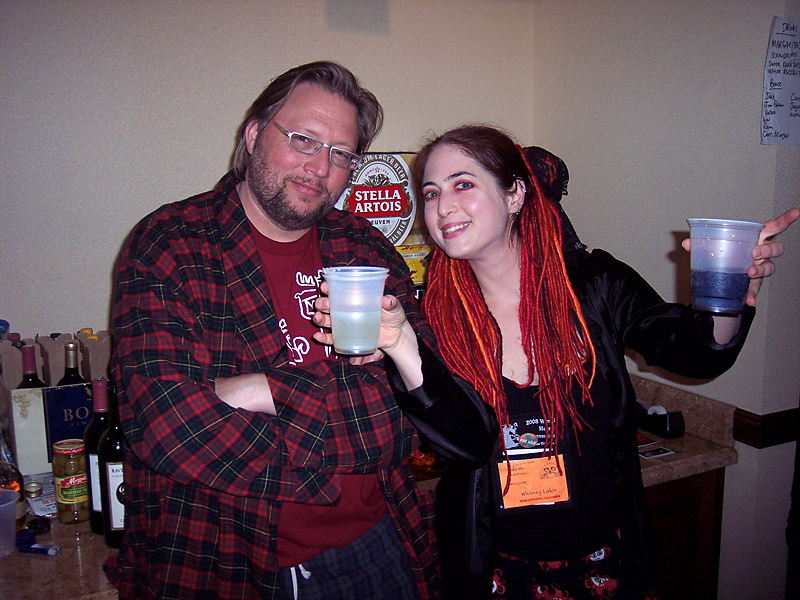 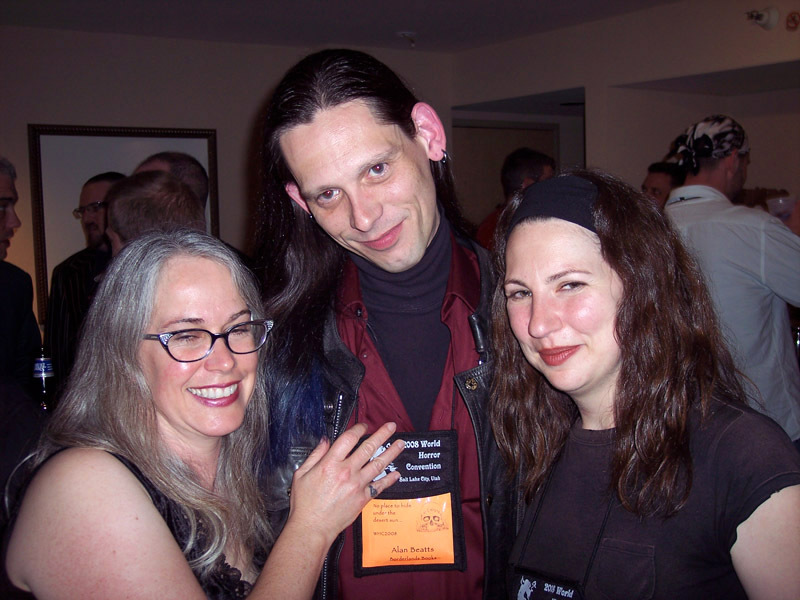 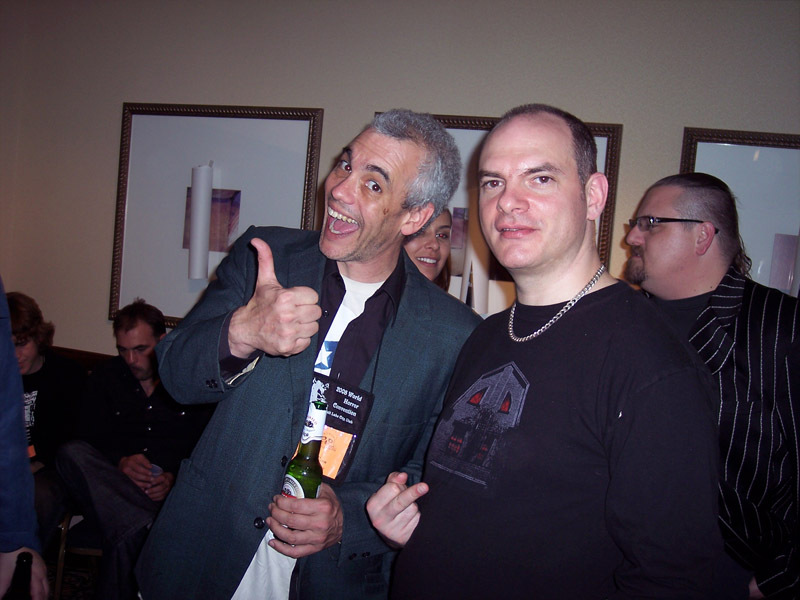 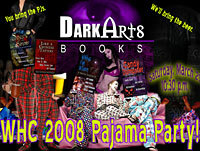 On March 29, 2008, for your late-night cocktailing pleasure… DARK ARTS BOOKS hosted the first (and quite possibly the last) Annual Stay Up Late Pajama Party at the World Horror Convention in Salt Lake City!!! 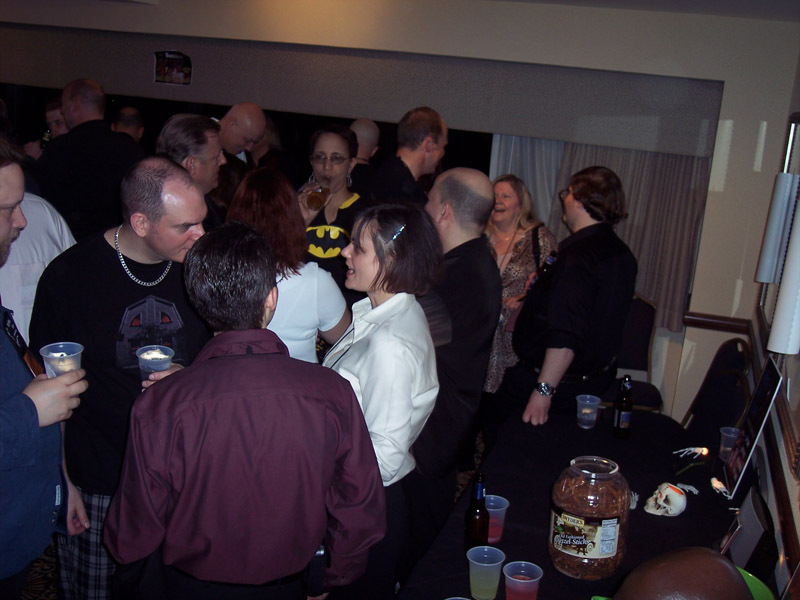 The party was a phenomenal success and lasted most of the night, but we closed the doors around 4:30 a.m. so the room could be clean by 6 a.m.! 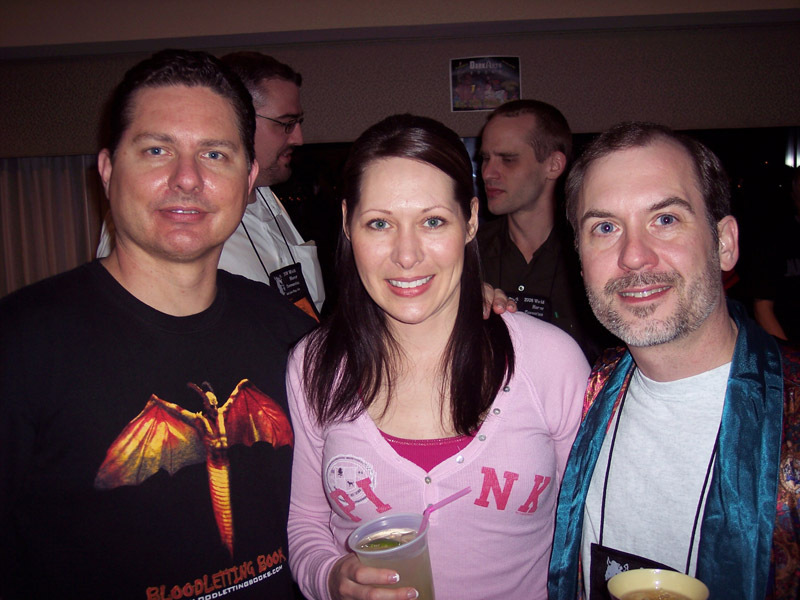 Special thanks to our bartenders Martel Sardina, Dark Arts co-publisher Bill Breedlove and Whitney Lakin, who kept everybody in their cups. 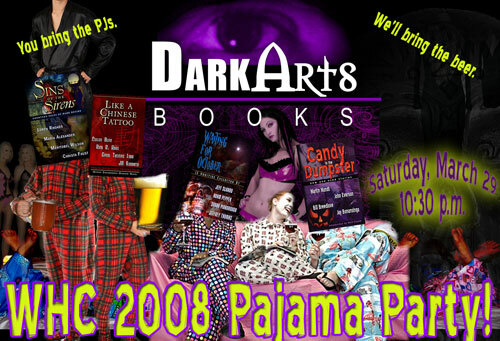 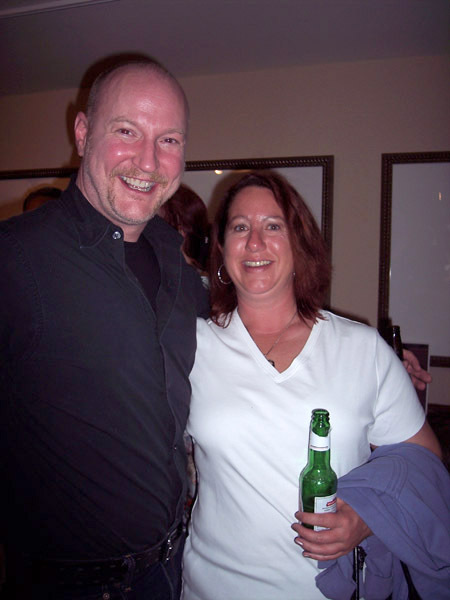 Also in attendance were Dark Arts authors Loren Rhoads, Maria Alexander and Cullen Bunn. 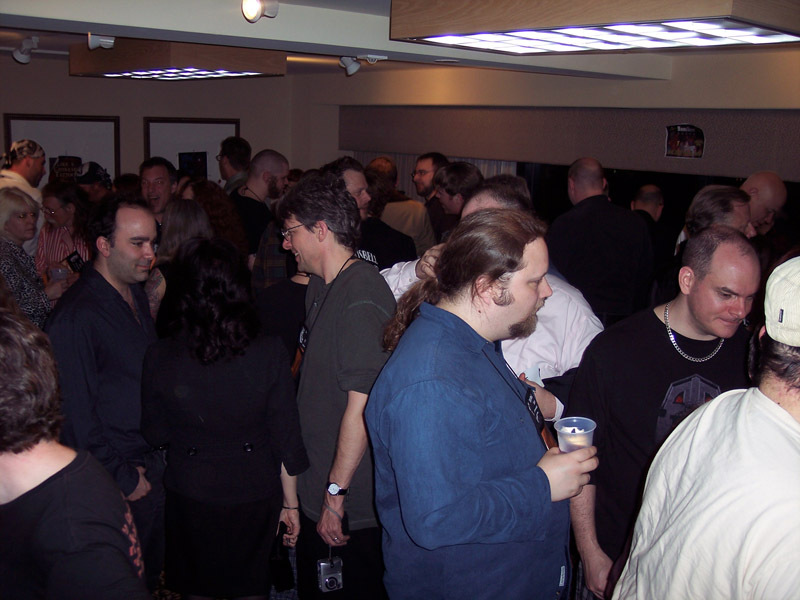 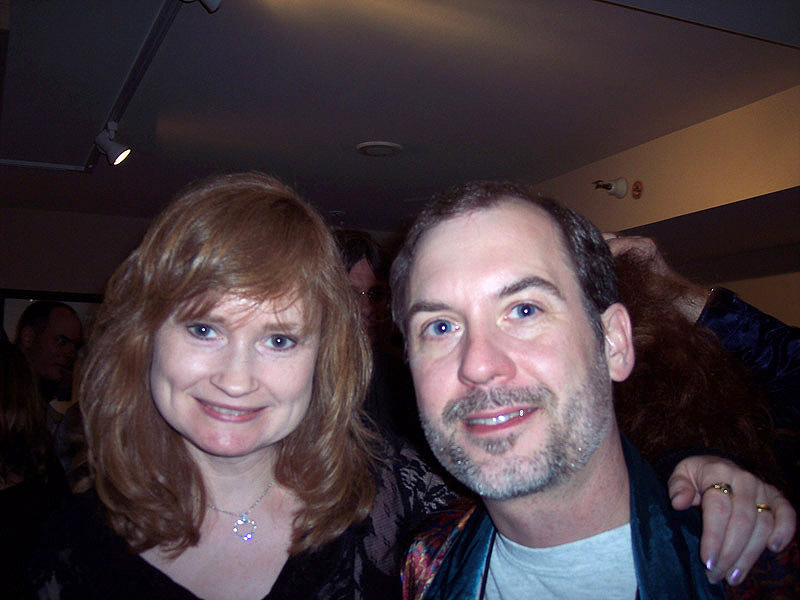 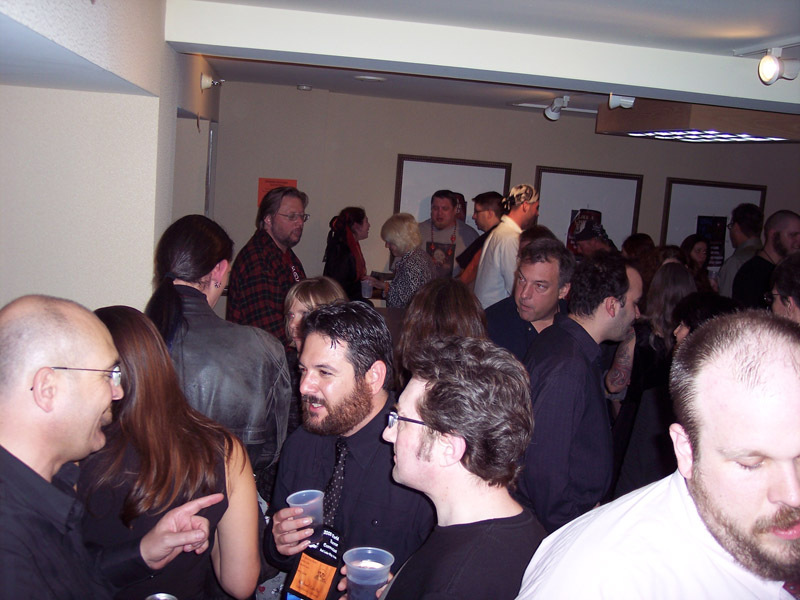 Scores of people turned up for the bash, which started right after the Bram Stoker Awards, including some of these pictured below: Mort Castle, Larry Roberts, Edward Bryant, Alexandra Sokoloff, Sarah Langan, Gerard Houarner, Linda Addison, Bailey Hunter, Eunice Magill, Cody Goodfellow, Jimmy Z, Jeremy Lassen, Alan Beatts, Jude Feldman, Christopher Treagus, Kelly Laymon, Wrath James White, Weston Ochse, Bill Gagliani, Dave Benton, John Palisano, Gord Rollo, Monica Kuebler, Lynne Hansen and many, many more.